Unique and Local Grapes from Biodynamic vineyards. Jura is one of the hot spot of Natural wine movement. Domaine de la Pinte, historical winery in Arbois had begun to convert to Biodynamie and all the 34ha vineyards have been managed by biodynamie since 2009. Today Domaine de la Pinte is producing soulful wines from local grape varietals such as Poulsard, Savagnin, and Trousseau. The wine possesses beautiful transparency, purity and softness that is attributed to Biodynamie. The essential of wine-making of Domaine de la Pinte is "time". They are willing to spend many years to produce a bottle of wine. Vin Jaune aged in the barrel for 6 years and 3 months(and further maturation in the bottle), moreover they spend 5 - 6 years for standard cuvée of Savagnin Ouillé. As a result of long time patience, Domaine de la Pinte could produce the special and characteristic wines with high quality. 100% biodynamic Savagnin, skin contact for three weeks. Unfiltered, non-fining and no SO2 added. This is a experimental cuvée to seek for new possibilities of Savagnin grape. Laura Seibel brought an idea of skin contact(maceration) to Domaine de la Pinte, through the experience of wine-making in Georgia and Samuel Berger has sophisticated this method. In 2017, Domaine de la Pinte lost 80% of crop, but they decided to continue this cuvée. The new wine-maker Samuel Berger is bringing much purity and transparency to the wine. 2017 Poulsard has lively, fresh, juicy, sweet red fruits and cool delicate tannin. This 2017 was vinified without SO2. Savagnin is a spirits of Domaine de la Pinte and Jura. 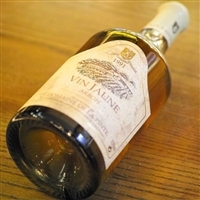 It is most famous as the only grape allowed in the Vin Jaune. It is also used for Macvin du Jura, Crémant du Jura, Vin de Paille, a dessert wine made from grapes left to dry on straw. This Savagnin Ouillé is a standard cuvée still wine of Domaine de la Pinte, which spent 60 months in the barrel before bottling. Special Release from domaine's library. Aged in the barrel 6 years and 3 months. During long ageing period, there is no adding, no racking. The wine obtains concentration and complexity, remarkable walnuts, spices and Sherry-like flavor. This wine has long life. It can last 50 years and more. Special Release from domaine's library. Aged in the barrel 6 years and 3 months. During long ageing period, there is no adding, no racking. The wine obtains concentration and complexity, remarkable walnuts, spices and Sherry-like flavor. This wine has long life. It can last 50 years and more. Special Release from domaine's library. Aged in the barrel 6 years and 3 months. During long ageing period, there is no adding, no racking. The wine obtains concentration and complexity, remarkable walnuts, spices and Sherry-like flavor. This wine has long life. It can last 50 years and more. Special Release from domaine's library. Aged in the barrel 6 years and 3 months. During long ageing period, there is no adding, no racking. The wine obtains concentration and complexity, remarkable walnuts, spices and Sherry-like flavor. This wine has long life. It can last 50 years and more. Aged in the barrel 6 years and 3 months. During long ageing period, there is no adding, no racking. The wine obtains concentration and complexity, remarkable walnuts, spices and Sherry-like flavor. This wine has long life. It can last 50 years and more. Special Release from domaine's library. Aged in the barrel 6 years and 3 months. During long ageing period, there is no adding, no racking. The wine obtains concentration and complexity, remarkable walnuts, spices and Sherry-like flavor. This wine has long life. It can last 50 years and more. Jura wine, is French wine produced in the Jura département. Located between Burgundy and Switzerland, this cool climate wine region produces wines with some similarity to Burgundy and Swiss wine. 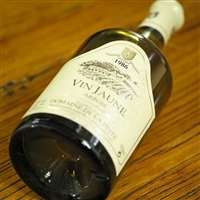 Jura wines are distinctive and unusual wines, the most famous being vin jaune, which is made by a similar process to Sherry, developing under a flor-like strain of yeast. This is made from the local Savagnin grape variety. Other grape varieties include Poulsard, Trousseau, and Chardonnay. 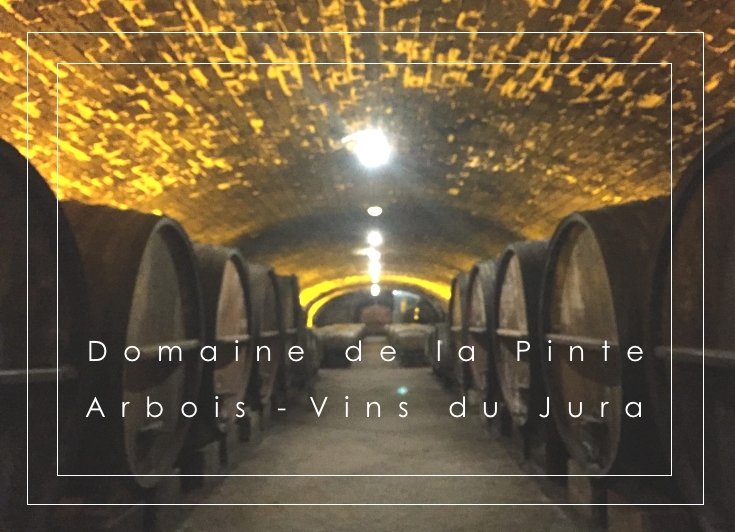 Other wine styles found in Jura includes a vin de paille made from Chardonnay, Poulsard and Savagnin, a sparkling Crémant du Jura made from slightly unripe Chardonnay grapes, and a vin de liqueur known as Macvin du Jura made by adding marc to halt fermentation. "Shanghai Crab with Vin Jaune" is a wine culture which was created by Hong Kong gourmets and wine connoisseurs. One of the standard way of food matching is combination of wine and food from same region. But seems Jura and Yangcheng Lake have no relationship geographically and culturally. We don't know who connected this Jura wine and Shanghai Crab, but this idea is brilliant. It is a symbolic mixture of food & wine culture of Hong Kong. Although LA PINTE vineyards were planted in the 19th century before phylloxera struck, as elsewhere in France, phylloxera devastated the vineyards at La Pinte and the owners of the time did not replant the vines, despite of the potential of the terroir. It was not until in the early 50’s when, Roger MARTIN, both winelover and geologist, decided to replant in Arbois.